Show your state pride! This rattle is made from solid hardwood Cherry. 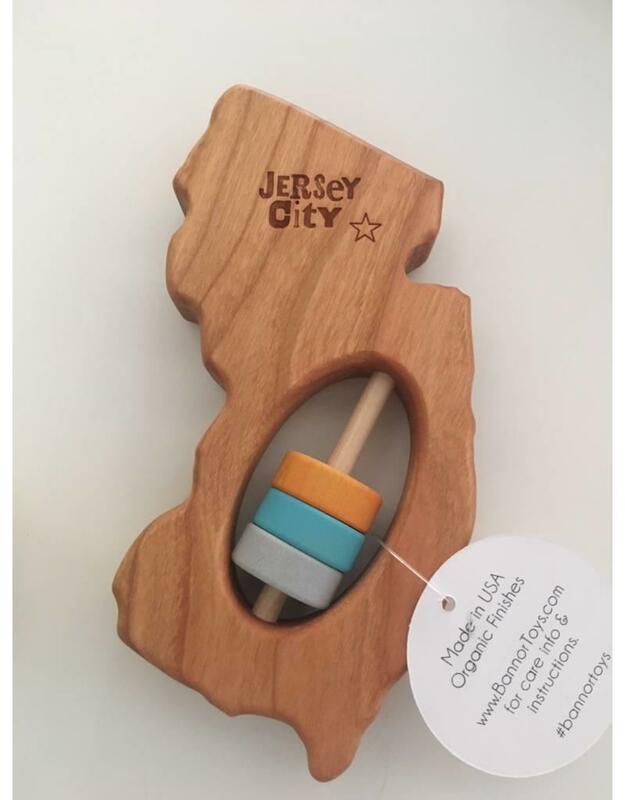 This baby rattle is 100% organic, made from responsibly harvested woods, and is sure to last long enough to be passed down through several generations in your family. The finish is safe yet durable and made from an organic mix of flaxseed oil and locally grown beeswax.